The pretty e! 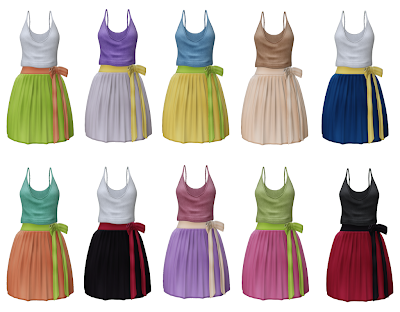 Aria Dress is now available at faMESHed. This pretty and flirty dress is available in 10 different colours. The belt and bow are both colour change offering 10 different choices. This fun and funky dress is sure to match any look or accessories. TP to faMESHed and try on a demo.